Disclaimer The content of this eBook is for general information purposes only. It is NOT a substitute for qualified legal advice. We strongly recommend seeking independent legal advice from a suitably qualified professional. All circumstances are different, the law changes, and you will need professional legal advice based on the facts of your particular matter. What is a Statutory Demand? As mentioned above, a statutory demand is a demand for payment, issued by a creditor to a company debtor. The statutory demand requires the debtor to do one of the following: 1. 2. 3. 4. Pay the debt; or Ask the issuer to withdraw the demand; or Secure or compound for the debt; or Apply to set the statutory demand aside. The debtor company has strictly 21 days to do the above. Failure to do one of these things raises the legal presumption that the company is insolvent. With the legal presumption raised the creditor can apply to the Federal Court or the Supreme Court for an order that the company be wound up in insolvency. What is the Statutory Demand Process? This complete guide will outline the formal requirements and the process of issuing a statutory demand including how to draft a statutory demand. We will show you how to comply with the statutory demand if you have been served and the consequences of non-compliance with the demand. We will also show you how to correctly serve the statutory demand, and how to request that the statutory demand be withdrawn. This guide will not talk about setting aside a statutory demand, which has been addressed in our complete guide to setting aside statutory demands. Before we start, we must first consider the elements of eligibility to issue a statutory demand. Eligibility Requirements of a Statutory Demand If you intend to send a statutory demand there are some requirement that must be met before you do so. These include: 1. 2. 3. 4. The debtor must be a company; The debt(s) must be equal to, or greater than $2,000.00; The debts must due and payable; and There is no genuine dispute about the existence or amount of the debt. The Debtor must be a Company Section 9 of the Corporations Act defines a company as: "company" means a company registered under this Act So, a creditor may serve a statutory demand on a registered company. A company is usually characterised by the use of Pty Ltd â&#x20AC;&#x201C; for example: Debtor Company Pty Ltd. A company is a separate entity in law to its directors, secretary, and shareholders. Given this unique legal status, a company has some of the same rights as natural persons. This means that a company can incur debt, sue, be sued and be issued with a statutory demand. The Debt(s) must be Equal to, or Greater than $2,000.00 There is a statutory minimum amount of debt which must be owed before a creditor is eligible to issue a creditor's statutory demand for payment of debt. Section 9 of the Corporations Act defines a statutory minimum as: "statutory minimum" means: (a) if an amount greater than $2,000 is prescribed - the prescribed amount; or (b) otherwise--$2,000. A creditor must have a debt, or debts, equalling $2,000.00 or more to be able to issue a statutory demand. The Debts must Due and Payable The debts must be due and payable at the time of drafting the statutory demand Form 509H, and the Form 7 affidavit accompanying the statutory demand. This may sound obvious, but a creditor must ensure that the time for payment has expired. For example, if a creditor gave thirty (30) days payment terms, then those thirty (30) days need to have expired. If you satisfy the requirements above, then you can issue the debtor company with a creditor's statutory demand for payment of debt. It must be in writing and use the correct form â&#x20AC;&#x201C; Form 509H; It must correctly identify the debtor and the creditor or creditors; It must require the debtor company to pay, secure, or compound for the debt within 21 days; It must correctly and sufficiently identify and particularise the debt or debts owing by the debtor company; and 5. It must be signed by the creditor. 1. 2. 3. 4. Must be in Writing and use the Correct Form â&#x20AC;&#x201C; Form 509H Form 509H is located at schedule 2 of the Corporations Regulations 2001 (CTH). If you are drafting a statutory demand yourself then you need to get a copy from there. A statutory demand contains a header, six (6) paragraphs, a schedule, a signing section, and some notes. These need to be correctly edited or face an application to set it aside, or a request that you withdraw the demand. The Header The header of a statutory demand contains the name of the form, the section of the Corporations Act applicable, the title, and the name and registered office of the debtor company. Just leave all of this in the demand. The most important thing to get the name, ACN, and address of the registered office correct. You can order a company current extract from ASIC which contains all of this information. Best practice is to simply copy (ctrl + c) and paste (ctrl + v) onto the demand. [T]he statutory demand the subject of this proceeding will be set aside under s459j(1)(b) because of the significance of the defects in the demand, albeit not productive in this case of “substantial injustice” to the applicant to which s 459j(1)(a) could apply. So, it important that you correctly identify your company if you want to successfully serve a compliant statutory demand. Debt is Due and Payable by the Company Paragraph 2 gives you options to inform the debtor that the amount of the debt is due and payable by the debtor company. If you are serving the debtor company with a statutory demand and supporting affidavit, then you complete the second option and delete the first. The debt(s) must be due and payable by the debtor company. You cannot include debts which are not due and payable (invoices with 30-day payment terms, before the expiry of 30 days, for example). Failure to declare that the debt or debts are due and payable has been met with mixed case law, and there have been various interpretations as to whether this omission caused substantial injustice. There have been cases where the inclusion of invoices with the words “amount due” was enough to not cause substantial injustice. There have been cases where the inclusion of the debt being “due and payable” on the demand, but omitted from the affidavit in support, was enough to set the demand aside. Pay, Secure, or Compound for the Debt Within 21 Days Paragraph 3 puts the debtor company on notice that they have 21 days to pay, secure, or compound for the debt. Payment of the debt means that the total amount of the debt contained in the statutory demand is paid in-full. To secure for the debt means to accept security for the debt. To compound for the debt means to accept an arrangement for payment of the debt amount, or some other amount. The use of the word “reasonable” is an objective test rather than a subjective test, so care should be taken when negotiating offers. Company can be Wound Up in Insolvency Paragraph 4 of the demand lets the debtor know that failure to comply with the statutory demand allows the creditor to make an application to the Court to wind the debtor company up in insolvency. Non-compliance with a statutory demand raises the legal presumption of insolvency. It is with the assistance of that legal presumption that a creditor of an insolvent company can apply to wind it up. Application to Set the Demand Aside Paragraph 5 lets the debtor company know that they can make an application to the Court for an order setting aside the statutory demand (if they have sufficient grounds). If the debtor company wants to set the demand aside, then strictly within the 21-day period, they must apply to the Court, and the sealed application and supporting affidavit be served on the creditor. Just leave paragraph 5 in the statutory demand and make no amendments. Address for Service of the Application Paragraph 6 states that the creditor company is also required to provide an address for service of the application to set the demand aside. The address for service must be in the same State as the address of the registered office of the debtor company. This means that if a debtor is in Western Australia and you are in Queensland, then you must have an address for service in WA. An address in a different state as the debtor company has been deemed not to be a defect causing substantial injustice, allowing the company to set the demand aside. In Daewoo v Suncorp-Metway  NSWSC 35 Austin J cited a number of authorities and said: In the present case there is the clearest basis for concluding that no substantial injustice would arise from the failure to specify an address in New South Wales. The proceedings have been brought in New South Wales and the plaintiff appeared before me at the hearing with New South Wales counsel and solicitors. I therefore reject the contention that a failure to specify an address in New South Wales in the demand justifies the setting aside of the demand. Again, not grounds for setting the demand aside, but it is just good practice to ensure that the Form 509H is complied with correctly. (b) a misstatement of an amount or total; and (c) a misdescription of a debt or other matter â&#x20AC;Ś The defect must also cause substantial injustice. In Topfelt Pty Ltd v State Bank of NSW Ltd  FCA 589 Lockhart J said: According to its ordinary usage a 'defect' means a lack or absence of something necessary or essential for completeness; a shortcoming or deficiency; an imperfection. In LSI Australia v LSI Holdings; LSI Australia v LSI Consulting  NSWSC 1406, when talking about the debt in a statutory demand, Austin J said: If the demand is so vague or ambiguous that it fails to identify, to a reasonable person in the shoes of a director of the debtor company, the general nature of the debt to a sufficient degree that the director can assess whether there is a genuine dispute as to the existence or amount of the debt, then there is a lack of something necessary for completeness, and therefore a defect in the demand. Whether this defect will cause substantial injustice will turn on the facts of each matter. Again, to be sure that the demand is not set aside for this reason, you must sufficiently particularise the debt so that the director of the debtor knows (or is deemed to know) what it relates to. It Must Be Signed The signing section is important because the demand must be dated and signed, with the person signing to print their name, and state in what capacity they are signing. Tip â&#x20AC;&#x201C; to save any difficulties, a solicitor for the creditor is an agent of the creditor, and as such it has been deemed that they can sign on behalf of the creditor. In Collins Bros Stationers Pty Ltd v Zebra Graphics Pty Ltd (1985) 10 ACLR 267 Gobbo J said: It would seem to me that the document, where it is signed by a person describing himself as the solicitor of the creditor, carries with it an assertion of agency. It would not seem necessary to have explicit evidence of authority which is, as it were, claimed and prima facie made out on the face of the document. Otherwise, a sole director of the company can sign with authority of the creditor company Alternatively, if there are more than one director, a director with a minute of a resolution giving him/her authority to sign on behalf of the creditor company. An omission of a signature has not been found not to be a defect which would cause substantial injustice. The Notes The final part of the demand is the notes. The notes provide some further information for the debtor company. An omission of the notes has been found to be a defect in the demand which does not cause substantial injustice, and so does not allow the demand to be set aside. Statutory Demand Formal Requirements Although statutory demand formal requirements are important, strict compliance with the form of the statutory demand is not required. In Quitstar Pty Ltd v Cooline Pacific Pty Ltd  NSWCA 359 Sheller JA Hodgson JA McColl JA said: Although s.459E says that the demand must be in the form prescribed by the regulations, s.25C of the Acts Interpretation Act indicates that substantial compliance is sufficient, at least unless the contrary intention appears. It could be argued that the word "must" indicates a contrary intention; but when one has regard to s.459J of the Corporations Act, it does in my opinion follow that the legislation was not making strict compliance with the form a prerequisite for validity This has been followed in cases such as In the matter of Ege Foods Australia Pty Ltd  NSWSC 983 and Inter Mining Pty Ltd v Lake Johnston Pty Ltd, in the matter of Lake Johnston Pty Ltd  FCA 915 amongst others. Even though substantial compliance is enough, it is best practice to ensure that the statutory demand formal requirements are 100% complied with. Defective Requirements allowing for Setting Aside As outlined above, some defects in the formal requirements of the demand will not allow the demand to be set aside, but some will. They are: 1. The correct identification of the debtor and the creditor; 2. The correctness of the amount of the debt; and 3. Sufficiently described debt allowing the debtor to know what it relates to. Otherwise, failure to comply with the statutory demand formal requirements may not be fatal to the statutory demand, but they may cause you unnecessary costs and stress having to appear at the hearing of the application to set the demand aside. As you are attempting to wind a debtor company up in liquidation if they do not comply with your demand, then this is a very serious action and should be treated as such. In Topfelt Pty Limited v The State Bank of New South Wales Limited  FCA 589 Lockhart J, in the Federal Court of Australia, said: It is not asking too much that creditors who issue statutory demands under the Corporations Law should ensure that the demands are expressed in clear, correct and unambiguous terms. If the creditors wish to have the benefit of the presumption of insolvency, the least they can do is to tell the debtor companies in clear terms what amounts are due, whether they include interest or not, and, if so, the amount. So, once a statutory demand is correctly drafted and signed, the creditor has to then serve the demand on the debtor company. How to Serve a Statutory Demand The service of a statutory demand is a vital step in the proceeding because if you incorrectly serve the demand, the court may determine that service has not been effected, and the consequences of this could be very serious, including a costs order may be made against you. Service of a Statutory Demand You have met the eligibility requirements to be able to serve a debtor company with a statutory demand, and you have correctly completed the form of the demand. You are now ready to serve the demand on the debtor company. A stat demand is a creature of the Corporations Act 2001 (â&#x20AC;&#x153;the Actâ&#x20AC;?) and so service of the demand is prescribed in that act. Section 109X of the Act says: (1) For the purposes of any law, a document may be served on a company by: (a) leaving it at, or posting it to, the company's registered office; or (b) delivering a copy of the document personally to a director of the company who resides in Australia or in an external Territory. Simple right? Serving a statutory demand by post means that you simple post it to the companyâ&#x20AC;&#x2122;s registered office, or personal service on a director of the company. Well, there are a number of pitfalls to navigate around, especially if you are dealing with a skilled debtor, who may be taking steps to avoid service. In some instances, a creditor may be ordered to pay the costs of the debtor company! We advise contacting a dedicated, professional statutory demand lawyer for advice and assistance with serving a statutory demand by post. Leaving it at, or Posting it to, the Company's Registered Office The first thing that you need to do is order a current extract from the Australian Securities and Investment Commission (“ASIC”). A current extract will provide you with all of the information you will need to serve a company. A company’s registered office is an address on the extract under the heading Registered Office. A registered office might be an accountant’s office, or a lawyer’s office. Ensure that the address on the envelope is identical to the address on the extract. Once posted, when is service deemed to have happened? The Postal Rule Section 160(1) of the Evidence Act 1995 (CTH) states that: It is presumed (unless evidence sufficient to raise doubt about the presumption is adduced) that a postal article sent by prepaid post addressed to a person at a specified address in Australia or in an external Territory was received at that address on the seventh working day after having been posted. So, the presumption is that the seventh (7th) working day after the statutory demand was posted it is presumed to be served. For example, if you posted the statutory demand on a Monday, the date of service (if no public holidays) would be seven (7) clear days thereafter, and the twenty-one (21) day countdown begins from that date. However, like all presumptions in law, they are rebuttable. For example, if the debtor company can adduce evidence which proves non-delivery. There is a distinction to be drawn here between non-delivery and non-receipt. The rebuttal relies on the debtor company adducing evidence of non-delivery and not non-receipt. The High Court of Australia said in Fancourt v Mercantile Credits Ltd  154 CLR 87: Despite remarks in the judgments about non-receipt, it was non-delivery which was significant because the second limb of s. 26 of the Interpretation Act refers to proof of the contrary of delivery. As the present case shows, delivery may be different from receipt by the intended recipient and, provided that delivery is not disproved, the fact of non-receipt does not displace the result that delivery is deemed to have been effected at the time at which it would have taken place in the ordinary course of the post. This might be relevant to the service of a statutory demand for a number of different reasons: 1. The debtor company may have changed its registered office in an attempt to defeat creditors, and lodged an incorrect address with ASIC which may not exist; 2. The debtor company may have a forwarding service attached to the address for service to a post office box. Scope Data Systems Pty Ltd v Goman  NSWSC 278 said “delivery to the post office box cannot be equated with delivery to a company’s registered office”; 3. If the letter is returned to sender unopened – this may be enough to rebut the presumption of delivery, especially if it is returned by the post office confirming delivery could not be made. Proof of Delivery That way you are able to prove delivery if there is direct evidence to show that delivery was made correctly. Alternatively, or as well as express post, attempt to get the debtor to confirm receipt (and therefore delivery) of the demand. Follow up with an email or a telephone call (if possible and/or reasonable) and you can annex evidence of actual confirmation of delivery from the debtor to your affidavit. Further in the alternative, although more expensive than a prepaid express post envelope, you could also get your process server to deliver the letter to the address of the registered office. We offer professional advice and assistance in all things related to statutory demands and serving a statutory demand by post In some instances, a creditor may be ordered to pay the costs of the debtor company! We advise contacting a dedicated, professional statutory demand lawyer for advice and assistance. Personal Service of the Statutory Demand If you are unable to be sure that service will be effected by post, or there are some problems with the address for the registered office on the ASIC current extract, then you will need to engage a process server to personally serve the director of the debtor company with the statutory demand. The current extract has the names, addresses, date of birth of the company office holders, and so you are able to personally serve the director (or directors) of the company personally at their home address. However, this becomes more complicated if the director has moved and not updated their details with ASIC. Your process server will be trained and experienced in the service of documents and will know exactly how to serve a statutory demand personally on the director of the debtor company. Interstate Service of Statutory Demand on Company If you need to know how to perform service of a statutory demand on a company interstate, for example the registered office in interstate, or the director of the debtor company lives in another state, then you will need to rely on the provisions of the Service and Execution of Process Act 1992 (CTH) ("SEPA"). Section 9 of SEPA says: (1) Service of a process, order or document under this Act on a company is to be effected by leaving it at, or by sending it by post to, the company's registered office. (2) Without limiting the operation of subsection (1), a process, order or document may be served on a company by delivering a copy of it personally to a director of the company who resides in Australia. Note that a statutory demand is not an initiating process and so does not need to comply with section 16 of SEPA which says: Service is effective only if copies of such notices as are prescribed are attached to the process, or the copy of the process, served. Substituted Service of a Statutory Demand Rule 10.24 of the Federal Court Rules 2011 (CTH) says: If it is not practicable to serve a document on a person in a way required by these Rules, a party may apply to the Court without notice for an order: (a) substituting another method of service; or (b) specifying that, instead of being served, certain steps be taken to bring the document to the attention of the person; or (c) specifying that the document is taken to have been served: (i) on the happening of a specified event; or (ii) at the end of a specified time. This means that there are other avenues open to effect service if the debtor company or the director of the debtor company have taken evasive measures to not be served with your demand. Read our article on Substituted Service. In some instances, a creditor may be ordered to pay the costs of the debtor company! 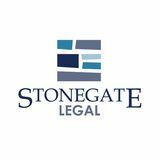 We advise contacting a dedicated, professional statutory demand lawyer for advice and assistance. Affidavit of Service of the Statutory Demand Once you have completed the steps above, you (or your process server) will need to provide evidence that service of the statutory demand has been effected. More than likely the debtor will pay, or you may agree to settle or â&#x20AC;&#x153;secure or compound for that amount or total to the creditor's reasonable satisfaction, within 21 days after the demand is served on the companyâ&#x20AC;? as per section 459E(2)(c) of the Act. Commonwealth Bank of Australia v Parform Pty Ltd  FCA 1445 said: To "compound" for a debt is to accept an arrangement for payment of the amount of the debt or of a different amount However, if the debtor company does nothing, then the company is presumed to be insolvent and you can take steps to wind the debtor company up in insolvency. In this instance then you will need to provide an affidavit of service of the creditorâ&#x20AC;&#x2122;s statutory demand with the application to the Federal Court or Supreme Court of Queensland. In your affidavit of service you will need to prove: 1. 2. 3. 4. 5. 6. 7. Evidence of the registered office (the extract); Evidence of the address on the envelope; Evidence of the tracking identification number on the envelope; Evidence of the letter serving the documents; Evidence of the documents served; Evidence when and where the letter containing the documents was posted; Evidence of delivery of the letter. How to Comply with a Statutory Demand A debtor must comply with a statutory demand if they are not going to attempt to set the statutory demand aside, or ask the issuer to withdraw the demand. To comply with a statutory demand is to either: 1. To pay to the creditor the amount of the debt or total of the amounts of the debts; or 2. To secure or compound for the amount of the debt or total of the amounts of the debts, to the creditor's reasonable satisfaction. This section will discuss what these points mean, and how they have been dealt with by the Courts, to ensure that a debtor and creditor know how to comply with a statutory demand. (b) to secure or compound for the * amount of the debt/ * total of the amounts of the debts, to the creditor's reasonable satisfaction. The salient issues when thinking about how to comply with a statutory demand are: 1. 2. 3. 4. Within 21 days after service on the company; Pay to the creditor the amount of the debt; Secure or compound for the debt; To the creditor’s reasonable satisfaction. When the history of [the debtor] to pay the debt after the filing of the winding up application is recalled and that the company was â&#x20AC;Ś presumed to be insolvent the Deputy Commissioner would have been entitled not to accept the cheque. A refusal to accept the cheque would not have eliminated the debt in question. In Deputy Commissioner of Taxation v Visidet Pty Ltd ACN 003 743 986, in the matter of Visidet Pty Ltd  FCA 830 Gyles J said: The opinion of Meagher JA (at 403) indicates that the refusal to accept a tender, even a refusal without justification, does not eliminate the debt in question. The relationship of creditor and debtor still subsists, and the tender is no answer, unless there is a continued readiness to pay coupled with actual payment into court. A creditor will also have a right to wind up the debtor company, after the application is filed, even if payment is subsequently made to the creditor. In Deputy Commissioner of Taxation v Complete Liquid Transport Pty Ltd  FCA 1067 Collier J said: The authorities are clear that the status of an applicant to seek a winding up order is determined as at the time when the application was filed, and is unaffected by the subsequent payment of the debt identified in the statutory demand to the creditor â&#x20AC;Ś The plaintiff therefore retains standing to press for a winding up order, in relation to the defendant. So, strict compliance with the 21-day time limit is required to pay, secure or compound for the debt. Failure to adhere to this strict 21-day time limit raises the presumption that a debtor company is insolvent. Any attempts at payment after the presumption has been raised and a winding up application has been made may be rejected by the creditor. This is because if another creditor successfully winds up the debtor company, or a creditor is substituted on the original winding up application, then that payment may be deemed to be a preference payment. Pay to the Creditor the Amount of the Debt This sounds pretty self-explanatory right? Simply pay the amount of the debt mentioned in the demand. If the demanded debt amount in the schedule is $50,251.39 then pay $50,251.39. The Securing of the Debt The securing of the debt means that the debtor company offers some security to the creditor for the amount of the debt in the statutory demand. This offer will usually be made to secure the compounding of the debt. A creditor does not need to accept the proposed security, however if the creditor does not accept the security, it has to do so reasonably and objectively. To Compound for the Debt To compound for a debt is to accept some other form of payment of the debt. In Commonwealth Bank of Australia v Parform Pty Ltd  FCA 1445 Sundberg J said: To "compound" for a debt is to accept an arrangement for payment of the amount of the debt or of a different amount. An "arrangement" has been defined to mean something falling short of an agreement. In Commissioner of Taxation (Cth) v Lutovi Investments Pty Ltd (1978) 140 CLR 434 Gibbs and Mason JJ said: It is … necessary that an arrangement should be consensual, and that there should be some adoption of it. But in our view it is not essential that the parties are committed to it or are bound to support it. An arrangement may be informal as well as unenforceable and the parties may be free to withdraw from it or to act inconsistently with it, notwithstanding their adoption of it. So, essentially to compound for a debt means to accept an arrangement for payment, a meeting of the minds between the debtor and the creditor. A creditor does not need to accept the proposed arrangement, however if the creditor does not accept the arrangement for payment, it has to do so reasonably and objectively. A Court can determine that it was either reasonable or unreasonable to not accept an arrangement for payment (or compounding) of the debt contained in the statutory demand. The question whether the debt was secured or compounded to GIâ&#x20AC;&#x2122;s and Mr Amargianitakisâ&#x20AC;&#x2122; reasonable satisfaction is determined on an objective test. In Frontlink Pty Ltd v The Commissioner of State Revenue, Victoria  VSC 329 Efthim AsJ cites the Parform case and makes an objective determination by saying: Here, the Commissioner does not want the security that is being offered, and one can presume that is because he has sufficient security. Objectively it would be reasonable for him not to accept the security, as it appears to add little if nothing at all to the security he already has. In South East Asia v It and Law  NSWSC 1036 Master Macready decided that: There is no offer of security and there is no suggestion that there is cash available now by way of bank cheque for instance to make the first payment. All it says is pay it immediately. That has to be seen in the light of the history of the matter where, prior to the issue of the first demand there were promises of payment which were not honoured. Accordingly, having regard to the history, I would have thought it was not unreasonable to refuse the offer to compound. Compliance with 21 Day Time Limit on Statutory Demands The 21-day time limit for Statutory demands means that you must apply to set the demand aside or comply with the demand within 21 days. The Courts have interpreted compliance with the 21-day time limit very strictly. Failure to comply with the 21-day time limit for compliance for statutory demands can have very serious consequences for the debtor company. Failure to apply to set aside statutory demands and serve the documents can mean that your application is void. This part of this guide explains all you need to know about the 21-day time limit for a statutory demand and how the Courts have decided this issue since David Grant. 21-day time limit for Compliance with Statutory Demands If a company has been served with a statutory demand, then the company has 21 days after the statutory demands are served to either: 1. 2. 3. 4. Pay the debt (or debts) on the demand; or Apply for the demand to be set aside; or Ask the issuer to withdraw the demand; or Secure or compound for that amount or total to the creditor's reasonable satisfaction. Where this Act confers power to extend the period for doing an act, an application for the exercise of the power may be made, and the power may be exercised, even if the period, or the period as last extended, as the case requires, has ended. However, what the High Court said in Aussie Vic Plant Hire was that Part 5.4 of the Corporations Act, being the part that deals with statutory demands (amongst other things), a contrary intention did in fact appear. In the joint judgment of Gleeson CJ, Hayne, Crennan and Kiefel JJ the High Court said: If the period for compliance with a statutory demand has expired, the Act does not permit the making of an order extending the period for compliance. This decision has been followed in the Queensland Court of Appeal. In Palmer Petroleum Pty Ltd v BGP Geoexplorer Pty Ltd  QCA 149 the Queensland Court of Appeal said: If the company applies in accordance with s 459G for an order setting aside the demand, there are then two possible periods for compliance. One possibility results from an order by the court for the extension of the period for compliance. The other possibility is where the period is not extended by the court, in which case, the period for compliance ends seven days after the application to set aside the demand is finally determined or otherwise disposed of. McMurdo JA then went on to say (with Fraser JA, Philippides JA agreeing): There is no power to extend the period for compliance once that period has expired. The High Court so held in Aussie Vic Plant Hire Proprietary Limited v Esanda Finance Corporation Limited  HCA 9. Clearly then, the period for compliance expired â&#x20AC;Ś at which point, the demand was still in effect and the appellant had not complied with it, with the consequence that the appellant is taken to have failed to comply with the demand. If a company has been served with statutory demands with an affidavit in support (not a judgment in support), then the company has 21 days to: 1. Apply to the Federal Court or the Supreme Court for an order setting the statutory demand aside; and 2. Serve a sealed copy of the application and the supporting affidavit on the person who served the statutory demand. 21 Day Time Limit to Set Aside Statutory Demands A good place to start when looking at the 21-day time limit to set aside a statutory demand is the High Court of Australia case of David Grant & Co Pty Ltd v Westpac Banking Corporation  HCA 43 who said: The court may make an order extending the period for compliance with the statutory demand. If the company applies "in accordance with section 459G" to set aside the demand, then an order extending the time for compliance may be made. And then went on to say: The requirement in s 459G that the application to the court for which it provides be made only within 21 days after service of the demand â&#x20AC;Ś These reasons lead also to the rejection of the reliance by the appellants upon s 70 â&#x20AC;Ś However, the Law does not confer a power to extend the period within which an application may be made under s 459G. The reason for the strictness of the interpretation of the legislation is because of the intention of the legislature when drafting the Corporate Law Reform Act 1992 (CTH). David Grant said that: The provisions of the new Pt 5.4 constitute a legislative scheme for quick resolution of the issue of solvency and the determination of whether the company should be wound up without the interposition of disputes about debts, unless they are raised promptly. The Court in David Grant decided that one of the purposes of the amendments which evolved into what we use today was for the quick resolution of solvency issues, unless disputes are promptly raised. The High Court in David Grant also specified the manner in which a 459G application is to be made. The Court said: ... an application is made in accordance with s 459G only if, within those 21 days, a supporting affidavit is filed and a copy thereof and of the applications are served So, this essentially means that if a debtor company wants to apply to set a statutory demand aside, the application and supporting affidavit must be filed in the Court, and a sealed copy of both must be served on the creditor within 21-days after being served with the statutory demand. 21-Days means 21-Days If a company is served with a statutory demand, then the only power that the Court has to extend the time for compliance is pursuant to a validly filed and served application to set aside the statutory demand. In all other cases, the Courts have held that a company must adhere strictly with the 21-day time for compliance with statutory demands. So, this means that from the day that a company is served with a statutory demand, the company must, within 21 days do one of the following: 1. 2. 3. 4. Pay the amount on the statutory demand or demands; or Compound for that amount to the creditor's reasonable satisfaction; or Get in writing from the issuer, a notice that they withdraw the demand; or Apply to the Court for an order setting aside the statutory demand. Care must be taken. For example, if a company has requested that the issuer withdraws the demand, and the issuer does nothing for two weeks, then the company will only have one (1) week to make the application to set the demand aside. The application to set a statutory demand aside must be drafted, filed and a sealed copy served before the expiration of the 21-day time limit. Service of Statutory Demands over the Christmas Period Arguably, a good example of this can be seen in J & K Homes Pty Ltd v Evans Lawyers  QSC 24 where Evans Lawyers issued J & K Homes Pty Ltd with a statutory demand on 19 December 2016, meaning that the time for compliance, or the time to file and serve an application and affidavit to set aside the demand, was 9 January 2017. The defendant argued that they were disadvantaged because over the Christmas period the Courts were closed. Citing David Grant & Co Pty Ltd the Supreme Court of Queensland said: As the applicant did not file and serve its application within the 21-day period required, the Court has no power to make an order setting aside the statutory demand. The serving, and subsequent compliance with statutory demands, over the Christmas period has been discussed in a number of different cases. Service to an Office Closed over Christmas In SV Steel Supplies Pty Ltd v. Palwizat  QSC 24 service of the statutory demand was made by placing the documents under the door of the registered office of the debtor company on Friday 22 December 2006. The office was closed for Christmas between 12 p.m. on 22 December 2006 until 8.30 a.m. on Monday 8 January 2007, being 17 days, in which notice was given by a sign on the door of the office. The applicants made an application to set aside the statutory demand alleging that service was not affected on the registered office until the document was brought to the attention of the applicant. After reviewing the authorities, following Fancourt v Mercantile Credits Ltd  HCA 25 amongst others, the Court decided that delivery had been made to the registered office, and dismissed the application to set the demand aside. The Court said: There can be no doubt that the notice has been served in accordance with s.109X of the Corporations Law. Nor can there be any doubt that the notice came to the company's notice although some significant time after the service was effected in accordance with s.109X. Nor in my view is there anything in what the respondent did in giving the notice nor in her dealings with the applicant which could support a claim that service of the statutory notice in the way and at the time that it was effected constitutes an abuse of process. In Bluechip Development Corporation (Cairns) Pty Ltd v PNP Realty Pty Ltd  ACTSC 33 the application to set aside a statutory demand and supporting affidavit was rejected by the registry for noncompliance. By the time the registry sent a requisition setting out the respects in which they did not comply with the Rules, the 21-day time for compliance had passed. The demand was served on 18 December 2008, but the application was not filed until 5 January 2009. The respondents filed an application for an order that the applicants be wound up for failure to comply with the statutory demand. Setting Aside Statutory Demands For an application setting aside statutory demands, the application and supporting affidavit must be filed in the Court, and then a sealed version is to be served. In Cooloola Dairys Pty Ltd v National Foods Milk Ltd and Alait Pty Ltd v National Foods Milk Ltd  QSC 308 the Supreme Court of Queensland said: The authorities establish that the copy of the application served on the respondent must be such as to show that it is a replication of the application which has been filed in the court. To do that it must show the action number given it by the court and it must show the return date for the hearing of the application. It must, also, I think, show the seal of the court to indicate that there are curial proceedings on foot. In Dominion Capital Pty Limited v Pico Holdings Inc  VSC 458 the Court said: In my opinion, the Court has no jurisdiction to hear the application when it and the supporting affidavit have not been effectively served "in accordance with" the requirements of s.459G(2) and (3) In Complete Windscreen Service Nominees Pty Ltd v Nielsen and Moller Windscreens Pty Ltd (1995) 121 FLR 178 the Court decided that an application to set a statutory demand aside filed and served within 21 days, but the affidavits filed and served outside the 21 days, was not valid. They said: If the steps contemplated by s 459G are not taken within the 21-day time period, it may be said that there is no application under Pt 5.4a, and accordingly no question of defect or irregularity falls for consideration. The authorities show that an application to set aside statutory demands, and accompanying affidavit must be filed in the Court, sealed with the Courts seal, show the matter number given it by the Court, and include the return date for the hearing. Then, this version is to be properly served on the issuer of the statutory demands â&#x20AC;&#x201C; all within the 21day time limit for it to be effective. Failure to do so within 21 days, and the company will be presumed to be insolvent. If the application to set aside is filed and served before the 21-day time limit, the clock stops running until the Court gives its judgment. The 21-day time limit to apply to set aside a statutory demand has been interpreted very strictly. If you have been served with a demand and need to set it aside, it is vital that you engage a suitably qualified professional. Abuse of Process and Failure to Comply with Statutory Demand In some instances, the Courts have allowed injunctive relief if the debtor company can successfully prove that the issuance of statutory demands was for an improper purpose and is an abuse of process. This still does not allow the company to file an application to set aside a demand after the 21-day period but may allow the company to avoid the consequences of the statutory demand. However, the authorities say that this is very difficult to do. In House of Tan Pty Ltd v Beachiris Pty Ltd (1996) 14 ACLC 1536 Brownie J said: (i) A court has power to dismiss or stay winding up proceedings as an abuse of process in appropriate cases â&#x20AC;Ś (ii) The effect of the enactment of CL Pt 5.4 is to limit the exercise of that power in cases to which CL Pt 5.4 applies ... (iii) In a small number of cases, the power will still exist â&#x20AC;&#x201C; although the factual matrix would need to make it clear that CL s 459S has no operation. This guide does not focus on winding up applications, however examples of cases where a winding-up application based upon non-compliance with statutory demands have been held to be an abuse of process include: Victorian Workcover Authority v Barroaghan Pty Ltd  VSC 413; Pacific Communication Rentals Pty Ltd v Walker (1993) 12 ACSR 287; and Roberts v Wayne Roberts Concrete Constructions Pty Ltd  NSWSC 734. Failure to Comply with a Statutory Demand or Set it Aside As you can see above, the Courts have interpreted the time limit for compliance with statutory demands, or the time to file and serve an application to set a statutory demand aside, very strictly. If you have been served with statutory demands, it is vital that you seek legal advice and assistance as soon as possible, as time is very much of the essence. Withdraw the Statutory Demand A company served with a statutory demand in Queensland can write to the issuer of statutory demands and request that they withdraw the statutory demand. The issue as to whether a statutory demand can be withdrawn was settled in Australia in the case of Cempro Pty Ltd v Dennis M Brown Pty Ltd (1994) ACSR 628 and then affirmed In the matter of Chameleon Mining NL; Chameleon Mining NL v Atanaskovic Hartnell  NSWSC 602. However, whatever a company chooses to do with the statutory demands, it must adhere to the strict 21-day time limit given in the Corporations Act. If the issuer of statutory demands do not respond to the request for withdrawal, then the statutory demands remain on-foot, and the debtor company still needs to do whatever they intend to do before the 21 day limit. The 21-day time limit to apply to set aside a statutory demand has been interpreted very strictly. If you have been served with a demand and need to set it aside, it is vital that you engage a suitably qualified professional A debtor may not need to comply with a statutory demand if the demand is withdrawn by the creditor issuing a statutory demand. How to Withdraw a Statutory Demand Have you ever wondered how to withdraw a statutory demand or if a statutory demand can be withdrawn? What is the process in withdrawing a statutory demand? Why require the issuer to withdraw rather than set it aside? This section of the guide will explain everything you need to know about withdrawing statutory demands, when you should do it (or request it) and why you should do it (or request that it be done). Withdrawing a Statutory Demand The issue as to whether a statutory demand can be withdrawn was settled in Cempro Pty Ltd v Dennis M Brown Pty Ltd (1994) ACSR 628 where Von Doussa J said: In my view if the party serving a notice of statutory demand under s 459E, within the time limited by the notice for compliance therewith, arms the recipient company with a document in writing saying that the statutory demand is unequivocally withdrawn, the notice thereafter has no further force or effect, and it is not necessary to prevent presumed insolvency arising at the expiration of the period for compliance to obtain an order of the court formally setting aside the notice. I consider that the unconditional withdrawal of the notice of statutory demand means that there is no longer a demand to be complied with, and at the expiration of the time limited for compliance, there can be no failure to comply with the demand. The fact that the withdrawal is evidenced by a document in writing given to the recipient company ensures that the company is in possession of proof of the withdrawal should any question thereafter arise as to the fate of the statutory demand. You must be mindful however that the recipient of a statutory demand only has twenty one (21) days in which to apply to set the demand aside. Section 459G of the Corporations Act states that: (1) A company may apply to the Court for an order setting aside a statutory demand served on the company. (2) An application may only be made within 21 days after the demand is so served. (3) An application is made in accordance with this section only if, within those 21 days: (a) an affidavit supporting the application is filed with the Court; and (b) a copy of the application, and a copy of the supporting affidavit, are served on the person who served the demand on the company. So, while waiting for the sender or the sender's solicitors to agree to withdraw the statutory demand, a debtor company must yourself time to draft, file and serve a copy of your application and supporting affidavit on the issuer. If you fail to get this application filed and served on time, you may be facing the presumption of insolvency, which could have very serious consequences. In Chameleon Mining NL v Atanaskovic Hartnell  NSWSC 602 the Court considered Cempro above and asked if a withdrawal of a statutory demand must be made in writing, or can an oral withdrawal suffice. Austin J said: Although Von Doussa J envisaged withdrawal in writing, it appears from his observations that he regarded writing as desirable for the purpose of proving the withdrawal, rather than necessary for the validity of the withdrawal. I can see no reason for insisting upon writing as a prerequisite to validity. In my view, if the court is satisfied, on the evidence, that a statutory demand has been unequivocally withdrawn within the notice period, the withdrawal is valid and effective notwithstanding the absence of any document, and it is unnecessary for the company to apply for an order setting the demand aside. A statutory demand can be withdrawn orally however, you will need to be able to prove that this withdrawal was made. It is good to know that you may be able to rely on Chameleon Mining if you need to, but more importantly, it shows that it is best practice to get the "unequivocal withdrawal in writing" so you are able to tender this as evidence if needed, especially as the consequences of not responding to the statutory demand are so high. Why can a Statutory Demand be Withdrawn How a Statutory Demand can be withdrawn is based upon the same factors for setting aside a stat demand. If the demand was made with an affidavit in support, and you can raise a good argument that the demand can be set-aside then you can write to the issuer of the demand prior to the application setting it aside. To get a demand set-aside, you will need to prove one or more of the following: 1. 2. 3. 4. There are formal defects in the statutory demand; and/or There is/are a genuine dispute(s) about the existence or quantum of the debt; and/or You have any offsetting claims; and/or There is some other reason, like the demand was not served correctly. Costs of the Application to Set-Aside In relation to how to withdraw a statutory demand, the purpose of this letter is to give the issuer notice of the intended application and to invite them to agree in writing to unequivocally withdraw the statutory demand. If they do not agree to withdraw the stat demand, then put them on notice that you will be put to the substantial expense of preparing and arguing the application on a contested basis (including Counsel's fees), in which case, you should reserve your right to tender this letter to the court at the hearing of that application, in support of a submission that the issuer of the statutory demand be ordered to pay the costs of the application on an indemnity basis. Other Issues to Consider There are a number of other issues to consider when a party is considering serving a creditor's statutory demand for payment of debt, or if a party has been served with a statutory demand. What Are the Risks of a Statutory Demand? One of the main risks of a statutory demand is the potential exposure to a costs order if the debtor company is successful in setting the stat demand aside. If the debtor company asks the issuer to withdraw the demand, and the issuer does not, then the debtor company may apply to the Court for an order that the demand be set aside. If they are successful, then the Court may order the issuer to pay the costs of the application. Failure to comply with statutory demand is the most common cause of presumption of insolvency. So, another risk is that liquidation may not be the best option for creditors to get paid. There may be other options which would potentially have more benefit to creditors. Reducing Risk of Statutory Demand Qld You can reduce the risk of a costs order being made against you by simply asking the issuer to withdraw the statutory demand. This will also save you a lot of money in legal fees. The creditor can reduce risk further by getting a court judgement against the company initially to obtain payment for the debt before they issue a demand. It can be costly and lengthy during the civil litigation process, so this is a consideration. A creditor can sometimes end up paying more than the debt is actually worth trying to recover it. Creditors should usually not use a creditor's stat demand for the payment of debt where thereâ&#x20AC;&#x2122;s a dispute about the amount of money owed to them and try to avoid court proceedings. An alternative to enforcing a judgment against a company using a statutory demand is to attempt to get an enforcement warrant. Weighing Up the Risk v Reward In some cases, a creditorâ&#x20AC;&#x2122;s statutory demand for the payment of money may not be the best option. You should seek legal advice as to whether your statutory demand is right for your particular circumstances. Weighing up the risk v the reward, it may be better in your matter to get a judgment in the Court first before issuing the statutory demand. Trying to Settle with your Debtor Company Companies and creditors have risks when dealing with debts. This is why it is usually a good idea to enter into negotiation for a payment of the debt or a portion of the debt. This is what is meant for compound for the debt. This can result in the withdrawal of the statutory demand, and a deed for the acknowledgement of debt with a repayment plan and some security â&#x20AC;&#x201C; for example. If a creditor does accept a payment plan, or compounds for the debt, then this can satisfy the requirements of the statutory demand, so care should be taken while negotiating within the 21-day time period. Careful consideration needs to be taken when issuing a statutory demand against any company without a judgement. Creditors must assess their risk of added costs and that they have a legitimate claim for debt owed to them. They must also make sure that the claim cannot be disputed by the company. Statutory Demand FAQ Questions How long does a statutory demand last? Once served a debtor company has 21-days to comply, set aside, or request a withdrawal of the demand. If they fail to do so then this raises the legal presumption that they are insolvent. There is a three-month time limit to presumption of insolvency. This means that the presumption of insolvency last for three months, starting on the 22nd day. A creditor can apply to wind up the company within that three-month period and gain the benefit of that legal presumption. The most common reason for company liquidation is insolvency. Can a statutory demand be withdrawn? Yes. If a debtor company has grounds to set a statutory demand aside then they can request that the demand be withdrawn. If the issuer does not withdraw the demand, and the debtor company is successful in obtaining an order setting it aside, then the issuer may be ordered to pay the costs of the application. An issuer should give serious consideration to withdrawing the demand if there are reasonable grounds. What do I do if I receive a statutory demand? As quickly as possible you should contact a statutory demand lawyer. You can do any of the following: 1. 2. 3. 4. Pay the total amount of the debt(s); Secure or compound for the debt to the creditorâ&#x20AC;&#x2122;s reasonable satisfaction; Ask the issuer to withdraw the demand; or Apply to the Court for an order setting the demand aside. How Do You Serve a Statutory Demand? A statutory demand is not an originating document and so there is no need for personal service. A demand is served correctly if served in accordance with section 109X of the Corporations Act. The most common way that service of a demand is effected is by mailing it to the registered office of the debtor company by pre-paid post. However, a demand can also be served by leaving it at the registered office, or personally delivering it on the director of the company. How can I get money owed to me? After service of a statutory demand on the debtor company they only have 21 days to pay the debt or secure or compound for the debt. In our experience a debtor company that can raise funds will usually do so rather than the risk of being wound up and a liquidator appointed. So, they will either pay, or attempt to compound for the debt with some security. Either way this is the way that a creditor will get paid. What is a winding up order? A winding up order is an order from the Court that the debtor company we wound up in insolvency. A winding up order will appoint a liquidator and make an order as to costs of the winding up application. Can I issue a statutory demand? To be eligible to issue a statutory demand you must satisfy the requirements below: 1. 2. 3. 4. You must be a creditor of the company; The debt must be $2,000.00 or more; The debt must be due and payable at the time of issue; and There should not be any genuine dispute. If you tick â&#x20AC;&#x153;yesâ&#x20AC;? to the above, then you are eligible to issue a statutory demand. What is Considered a Debt? A debt for a statutory demand is most commonly a liquidated amount that is presently due and payable by the debtor to the creditor. In most cases this is a debt relating to goods and/or services provided to the debtor company by the creditor and not paid for. Unliquidated debts, prospective or contingent debts are not debts which allow a creditor to issue a statutory demand. What is the Amount of Debt Being Claimed? The minimum debt amount of $2,000.00 is required for a creditor to be eligible to issue a statutory demand for payment. So if a creditor has a debt equal to or more than $2,000.00, or has a number of debts equal to or more than $2,000.00 then a creditor can issue a statutory demand. What Form Should a Statutory Demand Take? A statutory demand must comply substantially with the form 509H. Although there is extensive case law allowing demands which are not exactly in the correct form, best practice is to ensure that it is in the correct form. It is very simple to simply edit the Form 509H or the Form 7 Affidavit. It is important to ensure that it is all correctly complied with. However, a creditor must ensure that the following requirements for a valid statutory demand are completed correctly: 1. 2. 3. 4. 5. The debtor and creditor details including ACN; The registered office and address of the debtor company; Correct and sufficient particularisation of the debt; The statement that the debt is due and payable; and The statement that the debt remains outstanding. What are the Implications of Ignoring a Statutory Demand? If a debtor company ignores the statutory demand, then there are two main implications: The debtor company is presumed to be insolvent which assists the creditor in the winding up application, or will put the debtor company to considerable costs attempting to resist the winding up application; and Section 549S says that the company is likely unable to rely on the matter it could have relied on if setting aside the demand, when resisting the winding up application. If there was a genuine dispute, etc. then the company may not be given leave to raise it. Can the 21 days in which to comply with a Statutory Demand be extended? If the 21-day time for compliance with the demand has passed the Courts have been very clear that the Court cannot extend the time for compliance. If an application to set the demand aside has been correctly drafted, filed, sealed, and served in time, then the Courts can order that the debtor company have some more time to comply with the demand. In all other instances the Courts have ruled that strict compliance with the 21-day time limit is required or it is unable to be extended. Do I need a Judgment or Affidavit to make a Statutory Demand? A creditor can issue a statutory demand with either a judgment in support or an affidavit in support. If you have been through the Courts and obtained a judgment; or you have been through QCAT or adjudication, and the QCAT decision or adjudication decision has been registered in the Court; then you can issue a statutory demand. However, you can also serve a statutory demand with an affidavit in support. The affidavit must be in the required Form 7 and swear/affirm to all of the requirements needed. What is the Presumption of Insolvency if Demand is Unpaid? A legal presumption shifts the burden of proof. The legal presumption of insolvency means that a creditor does not have to prove that the debtor is insolvent. It becomes the job of the debtor company to prove solvency. However, without the presumption of insolvency to assist, it may be more difficult and more expensive to get the Court to make the order. If the debtor does not comply with the statutory demand, then they are presumed to be insolvent. This presumption of insolvency lasts for three (3) months in which time the creditor can apply to wind the company up. I am [state deponent’s relationship to the creditor(s), eg, ‘the creditor’, ‘(name), one of the creditors’, ‘a director of the creditor’, ‘a director of (name), one of the creditors’] in respect of *a debt of $[amount]/*debts totalling $[amount] owed by [name of debtor company] to *it/*them relating to [state nature of debt, or debts, ensuring that what is stated corresponds with the description of the debt, or debts, to be given in the proposed statutory demand, with which this affidavit is to be served on the debtor company]. [If the deponent is not the creditor, state the facts entitling the deponent to make the affidavit, eg ‘I am authorised by the creditor(s) to make this affidavit on its/their behalf]. [State the source of the deponent’s knowledge of the matters stated in the affidavit in relation to the debt or each of the debts, eg ‘I am the person who, on behalf of the creditor(s), had the dealings with the debtor company that gave rise to the debt’, ‘I have inspected the business records of the creditor in relation to the debtor company’s account with the creditor’]. *The debt/*The total of the amounts of the debts, mentioned in paragraph 1 of this affidavit, is due and payable by the debtor company. I believe that there is no genuine dispute about the existence or amount of the *debt/*any of the debts. * Omit if not applicable Note The form of the opening words and the jurat of this affidavit may be changed to conform to the form of affidavit used in a particular State or Territory â&#x20AC;&#x201D; see rule 2.6.